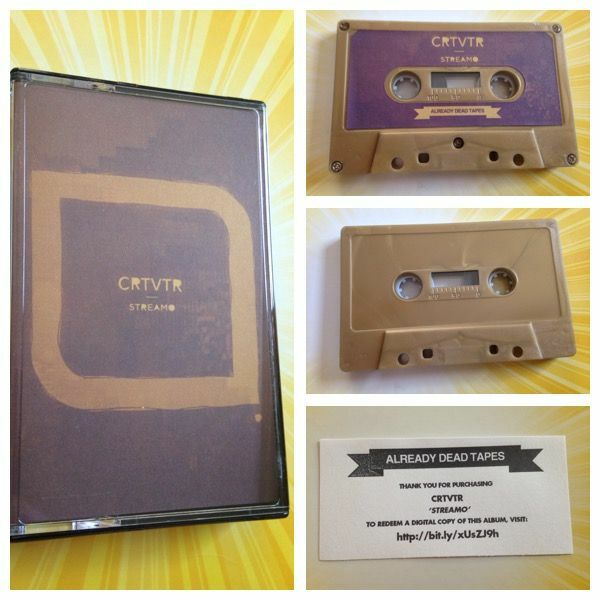 The music of CRTVTR is best described as something that you may not get on the first listen through, but it will grow on you. When I pressed play I first heard a song that sounded like an electronic version of The Clash or perhaps something from the Filter playbook. Anyone who has listened to the radio in the 2000's can tell you that opening that Filter door can take you down a dangerous path filled with Linkin Park and :::shudder::: Creed. But I also hear a bit of Blue October coming out in the first song and so I keep listening. I'm glad that I do because for the rest of the cassette those ideas of "this might be bad" fade and it just seems to really find its groove. By no means am I implying that the first song is bad either, merely that it could lead us to a sound that I do not prefer. But the heavy drumming and other undertones make me think at times that this is post-punk while other times the guitars can break down like Thrice. I really like the melody of the line "It shines like a disco ball" and through the first side CRTVTR takes us through a history of rock in a lot of ways. It's part Canterbury Effect and Casket Lottery, then also Jane's Addiction or Sprung Monkey. It has that feeling of being screamy math but there is another level to it so I wouldn't simply think of it as being similar to one of the bands I like on Broken World Media. Through a lot of energy comes a beeping bass line on "I Could Be Her", which has a general feel of Trail of Dead and as we forge our way through Side A and Side B I find myself thinking that way about a lot of these songs. They have that sort of forgotten/overlooked rock feel to them like We Were Promised Jetpacks and yet at the same time could be on the verge of metal such as Helmet. If you have feelings when first listening to this cassette that you may not like it my advice to you is to simply keep listening. It will grow on you. 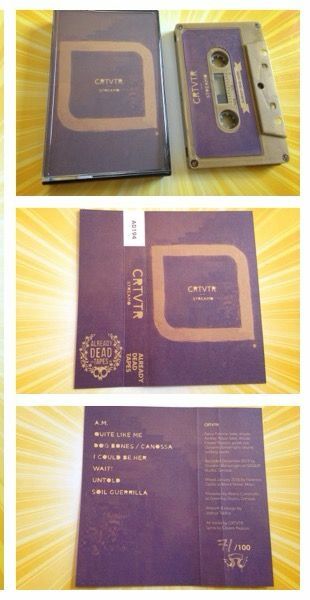 The hardest part of trying to get this music to people- and I can sympathize with the artist here- is that there is no clear cut comparison for CRTVTR. You could say "RIYL", but it'd be a lie. If this was a record, it'd be a double LP because it just feels that large. 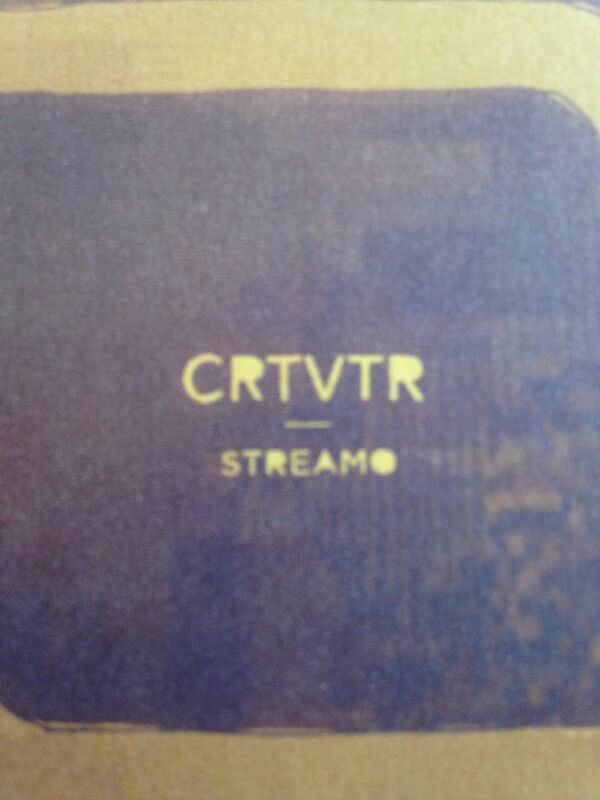 CRTVTR carving their own sound the way only a few have done before them and I love every second of it.